I love finding online giveaways and DIY projects to do at home in my spare time. Below are just a few projects and giveaways that I thought were really amazing. If you’ve found a giveaway let me know about it so I can share it here. Here’s an amazing steampunk style pipe lamp that I’ll be making this week ! Thanks to Timber and Tea for sharing this one ! 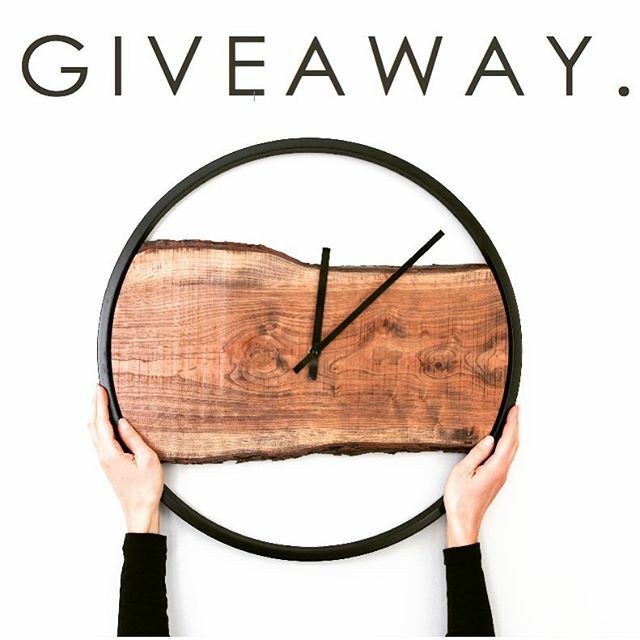 I also found a few giveaways on Heidi’s Instagram page including this cool clock she made from live edge wood !